512-843-1233 Delivered to all Highland Lakes. Offering the best customer service and the highest quality ski boat, pontoon boat, waverunner and wakeboard boat rentals. 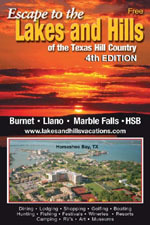 Delivered to Lake LBJ, Inks Lake, Marble Falls, Lake Buchanan, and Lake Travis. 330-209-5457 Guided fishing trips on Lake Buchanan. Come fish for a day, get hooked for a lifetime. Striper fishing headquarters for Central Texas. 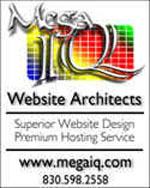 Providing trips any day you need. A striper guide with 40 years of Lake Buchananfishing experience. Jim will make sure your fishing party has the fishing trip of a lifetime. Fast & furious striper fishing on Lake Buchanan with striper guide Rick Ransom. 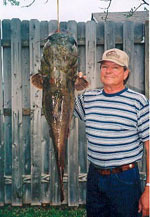 Rick has been fishing Lake Buchanan since 1985. Anyone can catch striper - ladies and kids welcome! Fishing guides service for central and south texas lakes and rivers. We guide for largemouth bass, smallmouth, whites and trout. Live Bait and Tackle Shop, open to the public, with access from Lake LBJ. Heated fishing house on Lake LBJ available to our lodging guests. J&S Quickstop and Hi-Line Resort sponsored Fishing Tournament for white bass and stripers. 1st, 2nd and 3rd prizes will be paid with many door prizes to be given away during weigh-in, including such items such as custom rods, Garcia reels and ice chests. Fishing will begin at 6am and continue until weigh-in at 5pm. Bar-B- Oue provided by J & S at the weigh-in. Weigh-in ceremonies hosted by Hi-Line Resort in Tow, Texas.